All the Paddock House preserves and chutneys are traditionally handmade from the family farm in Baunton, Gloucestershire. 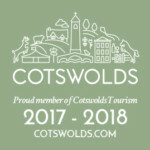 It’s all been a bit of a whirlwind for Susan Russell, who set up Paddock House six years ago, got married and moved to the family farm and realised there was a bountiful supply of produce all around just aching to be lovingly mixed, preserved and shared with guests of Cotswold Village Rooms and many others. 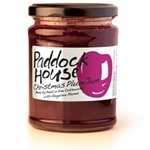 On the second and fourth Saturday of the month at Cirencester Farmer’s market you will find jams, marmalades and chutneys beautifully set out with the distinctive Paddock House label with Susan cheerfully describing the ingredients, encouraging all visitors to the stand to taste and try. We love it because it’s all made locally, with care and dedication to high quality ingredients. Look out for the special spiced Plum jam, perfect for warm crumpets, buttermilk scones, or comforting souffles (see recipe). Guests at Well Farm in Frampton Mansell are likely to enjoy Paddock House Lime & Lemon Marmalade, Strawberry Jam, or Apricot and Elderflower Preserve for breakfast or afternoon tea. Paddock House preserves and chutneys can be found at a number of places throughout the Cotswolds including the Cotswold Woollen Mill, in Filkins, Upton Smokery Farm Shop (their lovely Bloody Mary Chutney is made with smoked sugar from Upton) near Burford, the Jolly Nice Café at Frampton Mansell, Barnsley House Hotel and Barnsley Village Pub, Poulton Provisions in Poulton, the Roving Farmers Market in Crudwell, and the Cotswold Farm Park in Guiting Power. 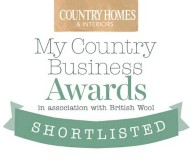 And from the comfort of your armchair you may also order online. Some Fairtrade icing sugar to dust. Separate and beat the egg whites until frothy, add the sugar and beat until you have a glossy meringue-like mix. Stir a third of the meringue into the plum mixture. Carefully fold in the rest of the meringue. Lightly grease 4 ramekins and spoon in the souffle mix. Run a finger around the edge to make a clean ridge. Place on a baking tray in the oven at 190º for 12 minutes. Take out, lightly dust these gorgeous plum gems with icing sugar and serve just as soon as you can.